Steven Slater the Jet Blue flight attendant who recently “quit his job” appears to have set up a Twitter account. As of this moment, the “real” Steven Slater has 469 followers. A “Fake Slater” Twitter account has been established as well. However, the Fake Slater account has 0 followers. It appears knowing a Twitter account is fake doesn’t compel audience engagement. 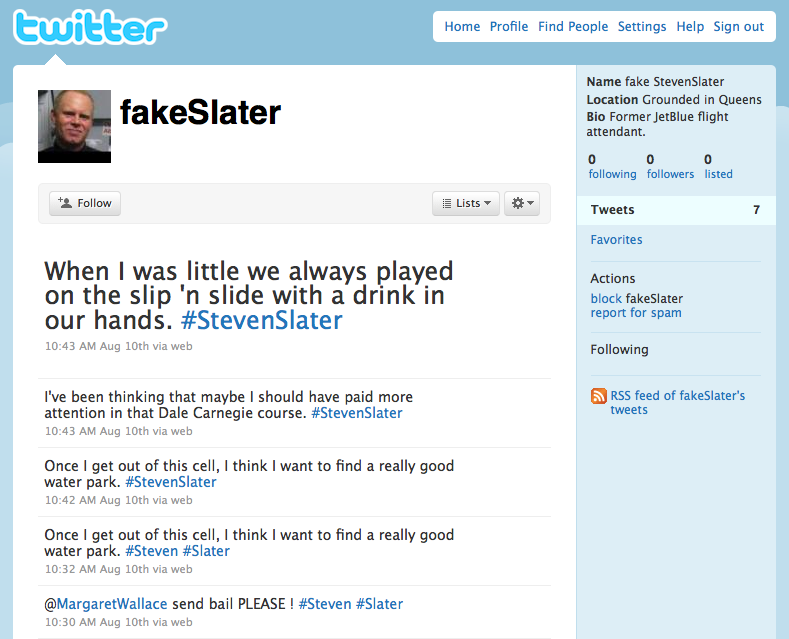 Even though the first Steven Slater Twitter account appears to be legitimate – its not. http://Twitter.com/StevenSlater is a a fake Twitter account too. The picture “Steven Slater” provided of himself in the “real” Steven Slater Twitter account was scraped from the Wall Street Journal online – not from his own personal photo collection. Highly unlikely and uncharacteristic of such a mellow fellow like Steven Slater – don’t you think? Back to the drawing board – Twitter poser…. 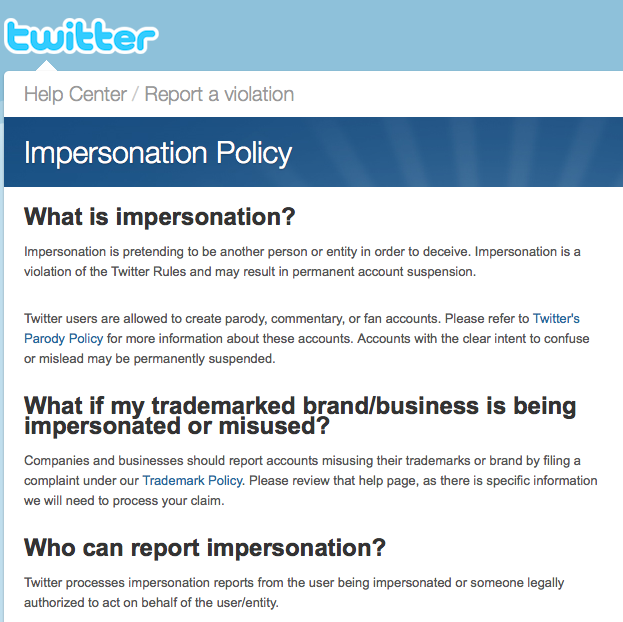 To combat cases like this, Twitter has established its Impersonation Policy. 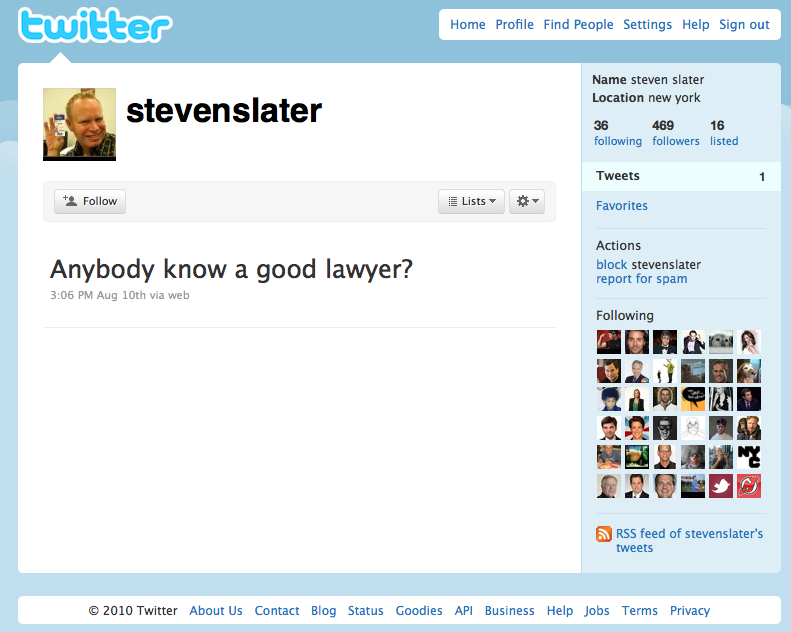 This entry was posted on August 12, 2010 at 3:22 pm and is filed under Steven Slater, Twitter, Twitter Impersonation Policy, Twitter Poser. You can follow any responses to this entry through the RSS 2.0 feed. You can leave a response, or trackback from your own site.